The cabinets you choose for your bathroom will go a long ways in helping you create the overall look you want. For this reason, you want to make sure you choose something that suits your taste while keeping functionality in mind. Otherwise, the cabinet will end up simply taking up valuable space with no real purpose. If you keep up with all the latest interior design trends, you may see a style that you like but before making a final decision go over all of your options. Just because something looks great in a magazine doesn’t mean that it would be suited for your lifestyle. There are many different things to consider when choosing bathroom cabinets. It’s never a good idea to buy cabinets for your bathroom without careful consideration, so avoid impulse buying. When shopping around you may find a style that you think is perfect but it might look totally different in your bathroom than it does on the showroom floor. Determine how you plan to use the cabinet– Will you use the unit for towels and washcloths, storing grooming supplies or for makeup and hair styling tools? The way you use it will determine what style of cabinet you need. Choose a durable material– Bathrooms are damp and the moisture can damage certain types of wood quickly, which is why many people turn to professionals for help. Part of the services we provide here at J. 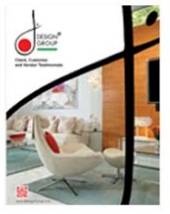 Design Group include helping you choose the best materials to use in your bathroom. Decide what type of finish you want on your cabinets– Choosing a finish is really just a matter of opinion and personal taste. Pick something that you like and that complements the rest of your decor. How many sinks do you want, one or two?– Most master bathrooms have two sinks for convenience while all others normally have one. It really depends on how much space you have and whether or not you need a double sink cabinet. Choose the right size– Choosing cabinets for the bathroom is a little tricky because your space is so limited. You need a cabinet big enough to accommodate your needs but not so large that it takes up too much space or looks awkward. Our professional interior designers or decorators in Miami can help you choose the right size cabinets for your bathroom. We can also help you choose the right color and finish to enhance the rest of your décor. Your cabinets will affect everything else in the room because it’s a major focal point for your bathroom design. Since it will set the tone for the entire room, you need a style that you like. The most common style is the stand-alone cabinets. These have a countertop with the sink in the middle and they usually have drawers along the sides and a cabinet space underneath the sink. Other options include wall cabinets, over the toilet units and cabinets with clothes hampers build in. You also have the option of having something custom made just for your home. Choosing the right cabinets for your bathroom is very important, so take your time, find a style that you like and make sure it serves your specific needs.